Everybody wants to get more traffic to his website. Then what's the best way, or most popular way, to increase the traffic to the website ? The 2012 Affiliate Summit AffStat Report has given us some inside on this. In my last post I mentioned the AffStat Report, which provided a chart of Top 10 Online Affiliate Networks in 2012, Based on a survey from 1,400 affiliates who attended the 2012 Affiliate Summit in August this year. Hope this helps for those who is looking for ways to drive traffic to the website. 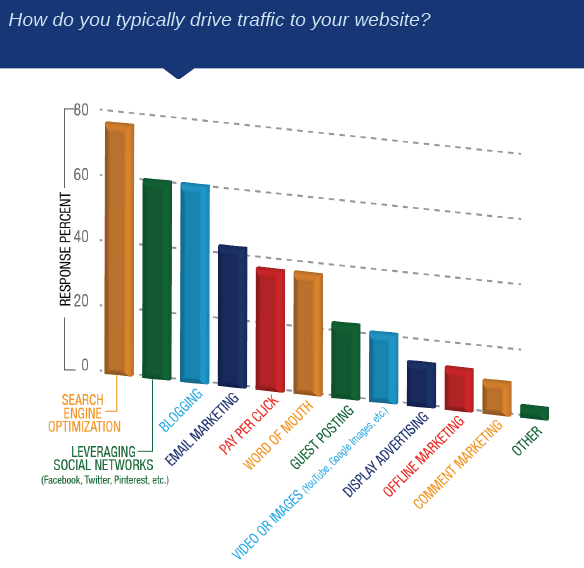 Quite a thorough list, but I`m surprised offline marketing is at the bottom. If you run a legitimate business, offline marketing is a great way to get the word out and get some nice, targeted visitors directly to your website.